Low cost Prikla Strip anti climb spikes, and the exciting new Prikla SupaStrip (Brick Strip), offer a cheap and easy way to deter burglars and other unwelcome visitors from your garden, flat roof, etc, - without the risk of getting yourself prosecuted! 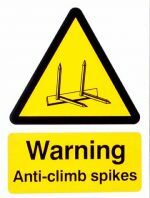 Designed to cause maximum discomfort, with minimum harm ...these safe anti climb spikes are ideal for protecting your home or business premises. Whatever the reason and whoever the culprit, unwelcome entry onto your property is obviously an intrusion of your privacy, could make breaking into your home easier and could also result in damage to your garden as well as to your fences, gates or walls. Anti climbing spikes offer a practical, anti climb deterrent ...protecting your walls, fences, gates and flat roofs against animal or human intruders. Lowest Price on the Web - from just 63p per strip. 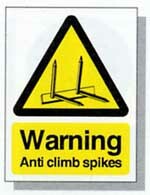 Prikka Strip - anti climb fence spikes for domestic & commercial use. Our Prikla range of anti vandal spikes are manufactured from robust UV (ultra violet) balanced weatherproof, recycled plastic. Prikla Strip (sometimes referred to as Prikka strip or prickler strip by our customers), blends comfortably into most environments. Choice of colours, can be screwed, nailed or stuck down. 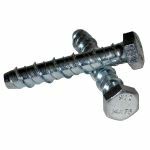 Simply screw or nail the strips through the pre-formed fixing holes (or stick down using suitable Adhesive) to the top surface of your fence, gate or wall. Prikla Strips can be easily cut to size as required. Prikla Strip offers a simple, affordable and practical solution for use in any location where you want to deter intruders or animals without using a product which could be life threatening or risk causing serious injury to intruders or pets. For obvious safety reasons, the installation of Prikla Strip at a height of less than head height is not recommended. Very popular with Schools, Businesses, Home users, etc. means that Prikka Strip is an ideal solution for curved or contoured surfaces such as pipes, etc. The double hinged construction makes Brick Strip a versatile solution for the top of brick walls or fences and Flat Roofs! ...the generous 500 x 100mm size of these strips make them the ideal product for use around the top edge of flat roofs where they can be stuck in place on suitable surfaces with Pink Grip Adhesive. Please Note; Pink Grip is a solvent based adhesive and is not generally recommended for use with asphalt based surfaces - if in doubt, try a small test strip before commencing installation. Please Note: Where prikla strips are used to protect commercial premises the use of warning signs is strongly recommended.